New doctrine and skins also coming on June 20th. New content is on the horizon for Warhammer 40K: Dawn of War 3. According to Relic Entertainment in its latest community update, Engines of Annihilation will include a new map and mode while being free for everyone. It’s out on June 20th with gameplay to be revealed on June 16th, 10 AM PST on Twitch. The new mode is Annihilation, which throws in turrets to protect your base from the very beginning of the round. Annihilation Classic allows you to start without turrets but they can still be built using the new Doctrine “Buildable Turrets”. The basic goal of destroying your enemy’s core remains. The new map is Mortis Vale but if you want to play Annihilation on existing maps, then don’t worry – they’ve been retrofitted to support the new mode. 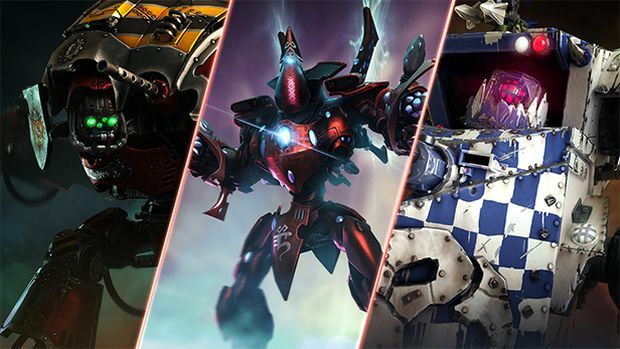 Relic also notes that a free skin pack will be going live with update, adding the House Raven skin for the Imperial Knight Paladin, an Exalted skin for the Wraithknight and a Deathskulls skin for the Gorkanaut. What are your thoughts on the new update? Let us know in the comments below.